A 12-ounce beer can range in calories from 140 to 200, and a light beer averages 100 calories or more. While it can add flavor to food, beer also increases the calories in a recipe and may add alcohol, depending on how it is prepared. If you want to avoid beer in a recipe for health or taste reasons, or just because it is not available, there are simple substitutions available that will still produce a delicious result. Beer is used in main dish recipes to add flavor and to tenderize meat. It also enhances flavor and color when used to baste meats. 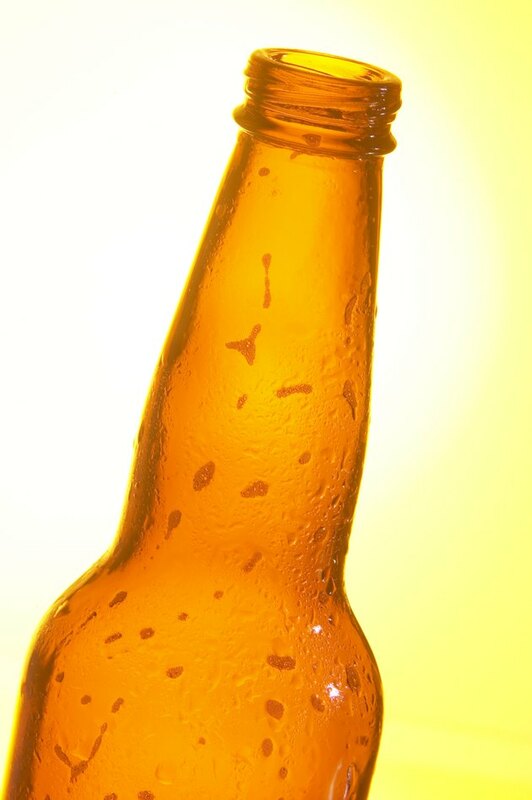 Beer is used in baking because its bubbles make dough or batter lighter and its yeast and grain add a pleasant flavor. Kevin Weeks, a personal chef writing for the Kitchen Window series on NPR, recommends using beer in the batter when frying food because it results in a lighter crust. When a savory recipe calls for light beer, vegetable or chicken broth or stock can be excellent substitutes. Instead of dark beer, try beef broth or mushroom stock. Stock and broth can be used interchangeably when substituting for beer. Broth is made by simmering meat in water, usually with vegetables and seasonings. Stock is made in a similar manner, but includes more bones and less meat. Use a canned or homemade broth or stock that best matches the other ingredients in your recipe or use chicken or beef bouillon cubes dissolved in water if you do not have broth on hand. Soda can also be substituted for beer. The dish will be sweeter with soda than with beer, but a mildly flavored soda can add a pleasant flavor to the dish. Ginger ale is a good choice because it adds both spicy ginger flavor and sweetness to the recipe. In recipes that call for dark beer, consider substituting root beer or cola. Soda in a can is easy to substitute in a recipe like beer can chicken, which calls for standing a whole chicken over an open, half-full can of beer so the chicken is flavored by the steam while it cooks. Once you open your imagination to the possibilities, it is possible to substitute just about any beverage for beer in recipes. Choose apple cider instead of dark beer in a stew or for cooking liquid in your slow cooker. Sparkling apple cider or white grape juice are lighter choices that add a slight fruity flavor to chicken or fish dishes. In baking recipes, use milk or water in place of beer, or try a recipe such as diet soda cake, which calls for mixing boxed cake mix with a can of diet soda instead of with eggs and oil.